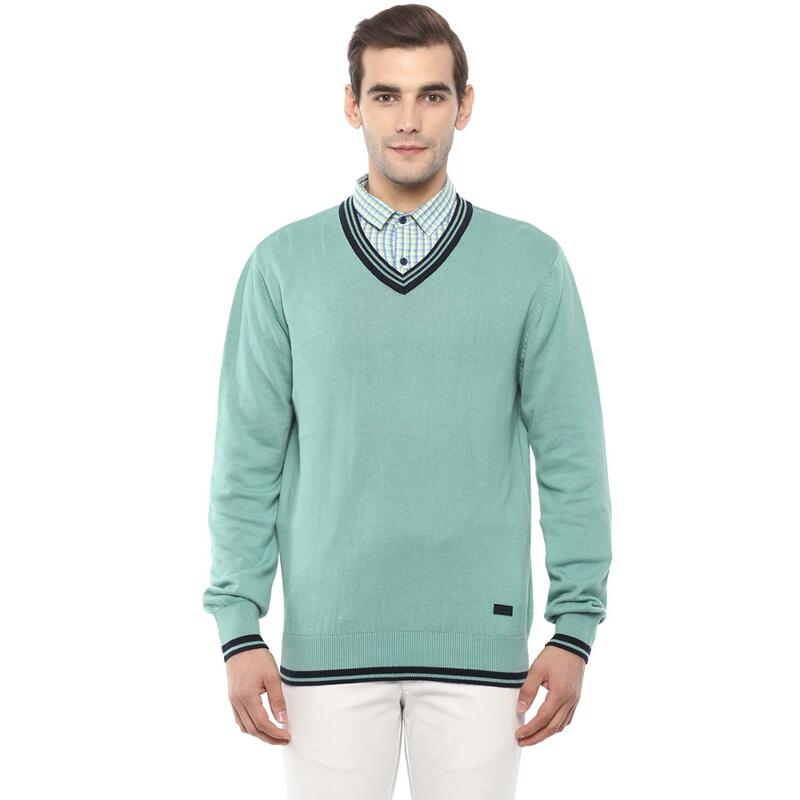 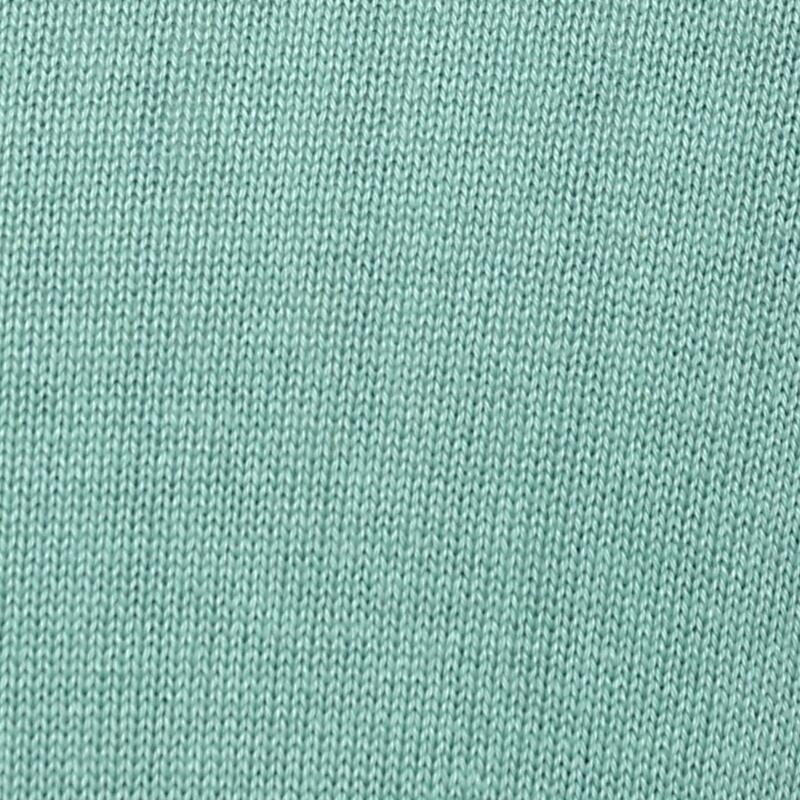 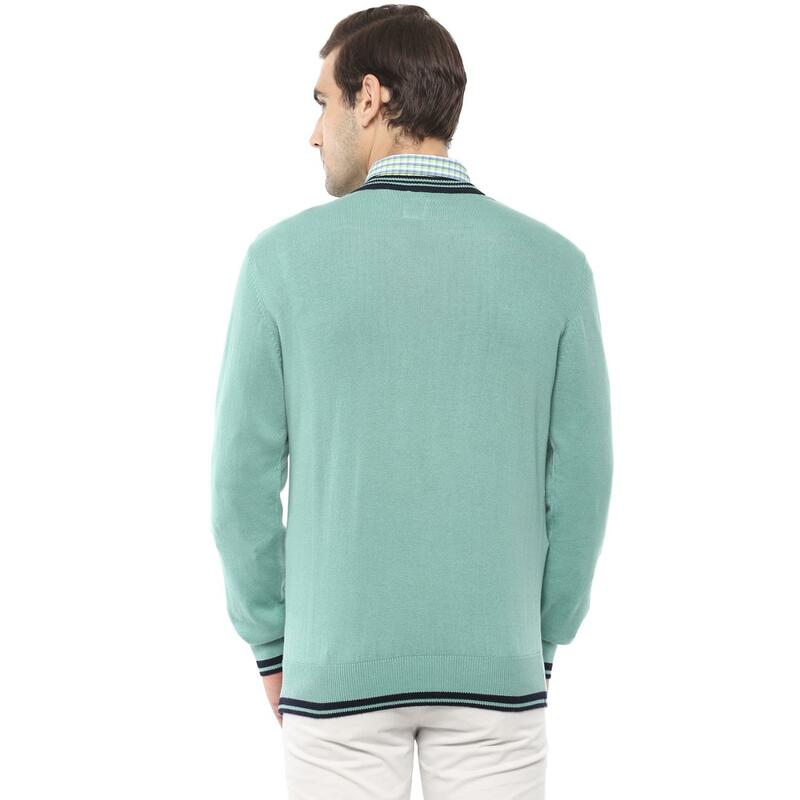 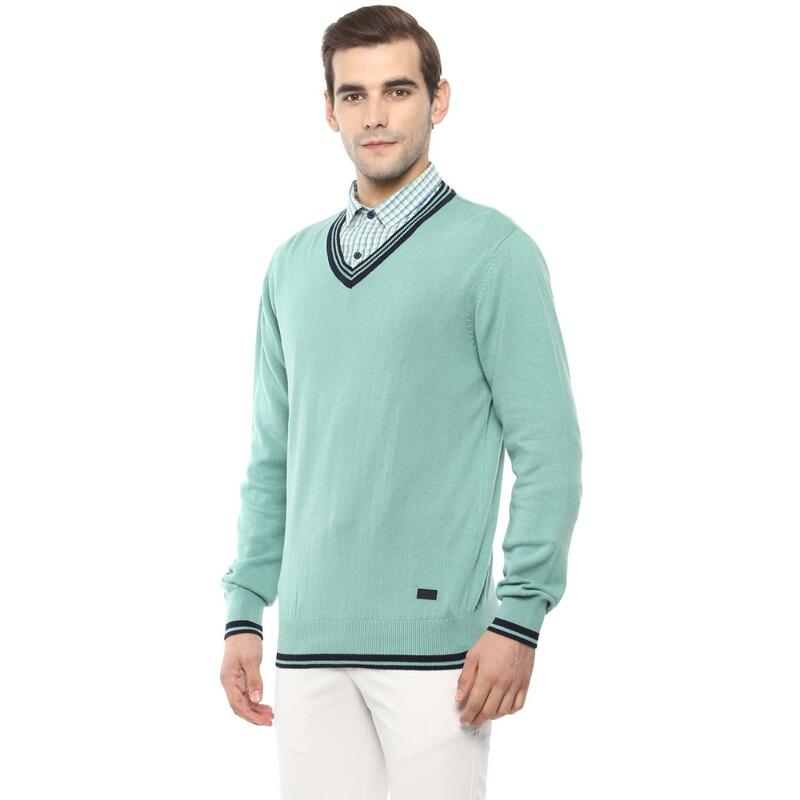 A fresh and smart addition to your casual winter closet is this aqua sweater from Red Chief. 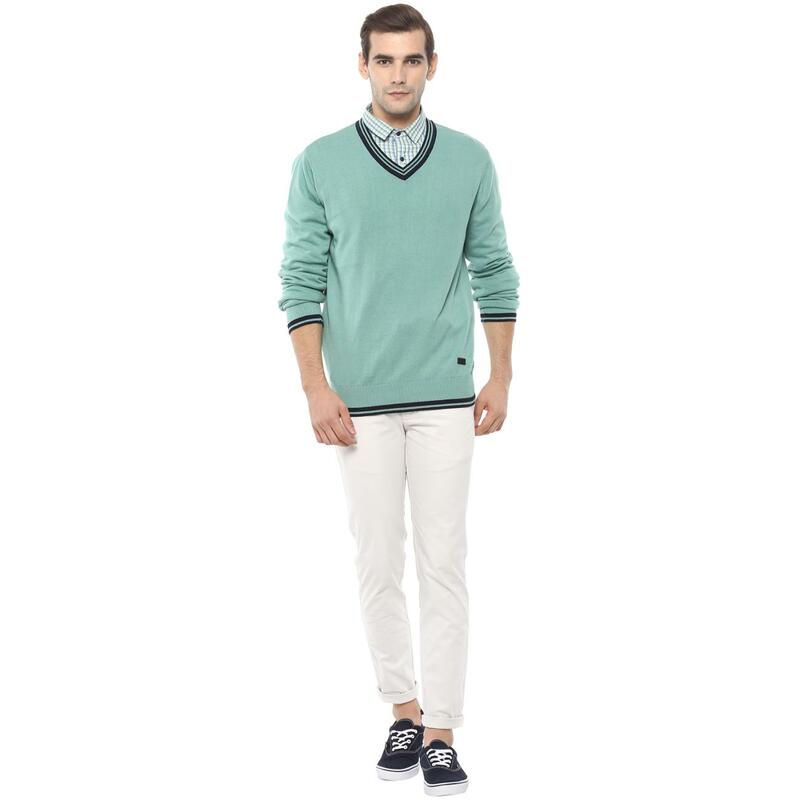 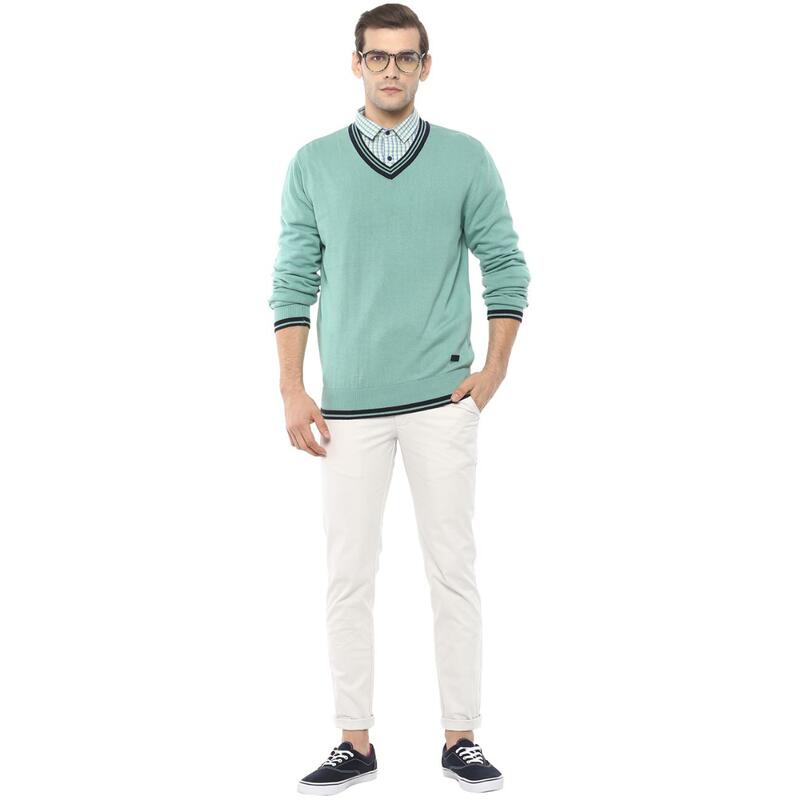 Designed for urbane men, this full-sleeved sweater has a contrast V-neck, cuffs and hem. 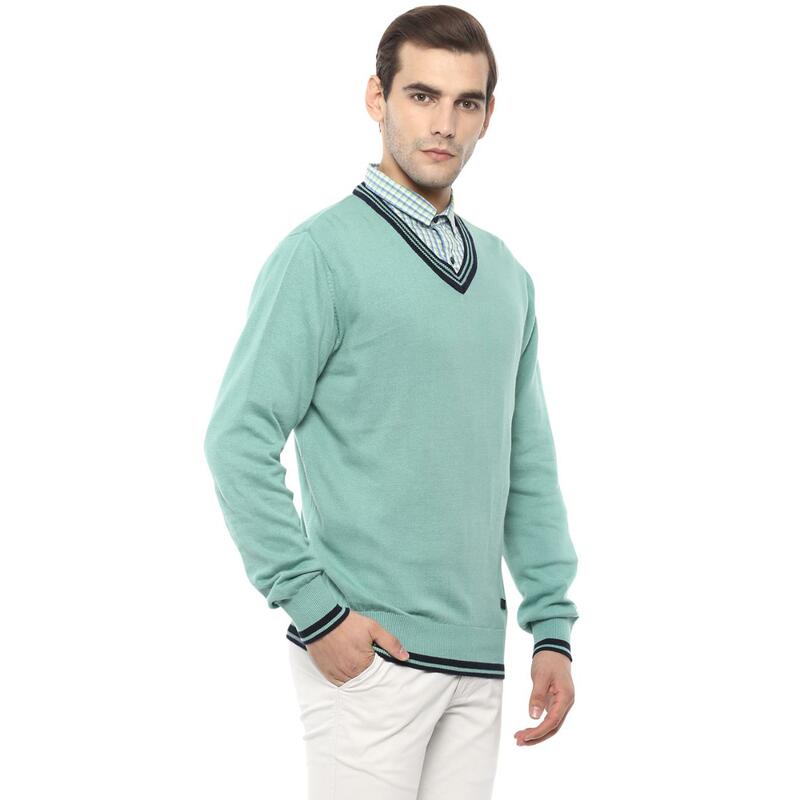 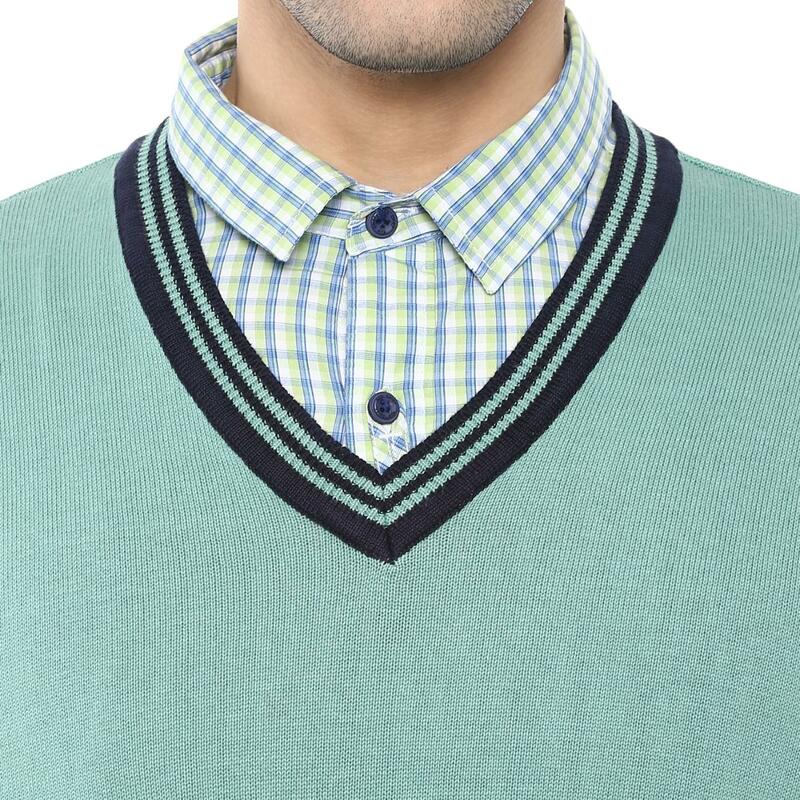 With a stocking knit design, this 100% sweater will look best when worn over a shirt with chinos and loafers.